A heartbreaking story of apparent martial murder in Virginia has made national headlines as a grieving family remembers a young Marine mother taken too soon. A U.S. Marine Cpl. named Rodolfo Rivera, 24, is charged with murdering his wife after calling 911 and allegedly telling dispatchers he may have killed her. Rivera remains at the Arlington County Detention Facility without bond, according to officials with the Arlington County Police Department. Around 9:40 a.m. on Nov. 3, Arlington County police responded to the Crystal Gateway Marriott in Arlington, Virginia, where they found a deceased female inside a hotel room, according to a police statement. 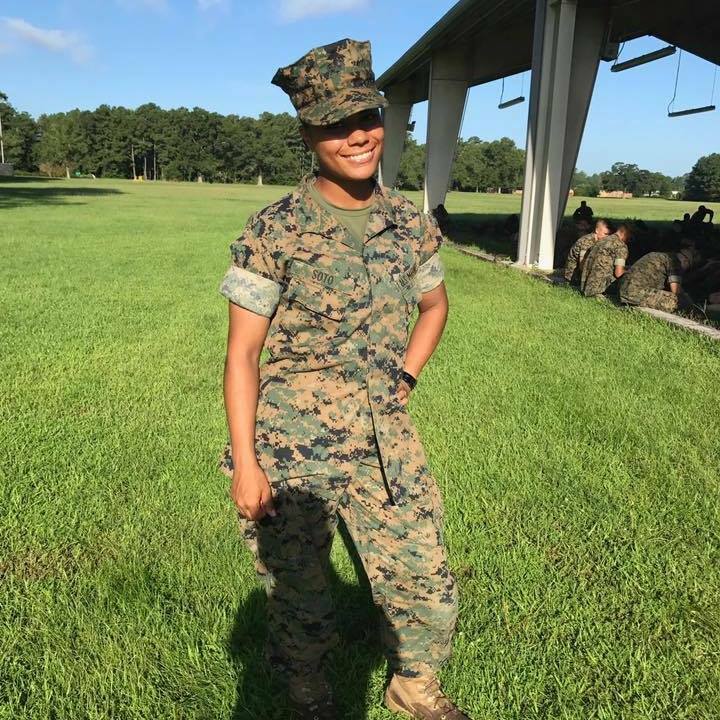 The victim was identified as 20-year-old Lance Cpl. Natasha Rivera, of Stafford, Virginia. The previous evening, the couple had attended the Marine Corps Base Quantico Birthday Ball held at the hotel. According to reports from Fredericksburg.com regarding an affidavit for a search warrant filed in Stafford Circuit Court, Rodolfo apparently told police that he woke up and found his dead wife next to him. The affidavit states that he allegedly called for help and told the 911 dispatcher he thought he had killed her. He told authorities he drank so much he “blacked out,” and apparently had no memory of what happened the night before. According to the affidavit, Natasha had sustained bruising on her face and arms as well as injuries to her neck consistent with strangulation. Pictures on Natasha’s Facebook page show the couple had recently welcomed a baby boy in September. The Naval Criminal Investigative Service and the Arlington County Police Department are leading the investigation.